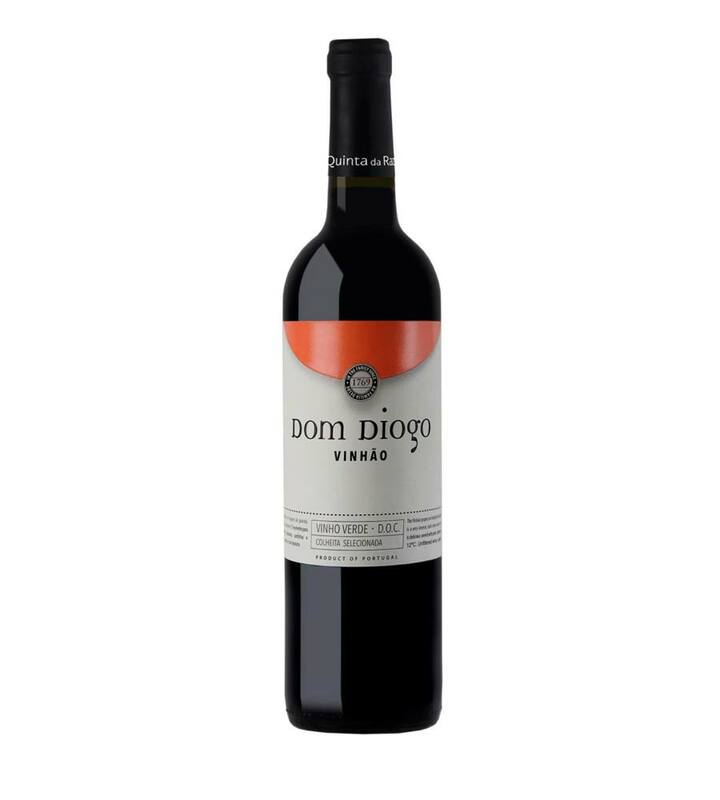 It is a very dark coloured wine, with a sylvan fruits fragrance. It is soft and dry and has a high viscosity. Raza Vineyard has 40 hectares and it is located in Celorico de Basto, in Vinho Verde Region (DOC). The unique terroir is created by the gentle slopes and the magnificent exposure to the sun. The soil benefits from its granite origins with areas of schist and clay. This is very unusual in Vinho Verde Region. In the Vinho Verde Region, Raza Vineyard has a microclimate provided by mountains in the west and the river valley Tamega that, unlike the other rivers of the region does not run from east to west, but from northeast to southwest, which together prevent the influence of the Atlantic winds. Therefore, the weather is less rainy and has greater temperature ranges, this means that our vineyard is subject to more sun than perhaps other vineyards in the Vinho Verde Region, important factors for the development of the vine. Moreover, the average altitude of the Quinta da Raza is 250 meters, which corresponds to the average altitude necessary for the best development of vines. The vineyard has always been the main farming interest due to the importance of the high quality of the grapes produced. These range from Azal, Arinto, Padeiro, Vinhão to Alvarinho, which are unique grape varieties from the Vinho Verde Region. The Raza vineyard won the prize for best vineyard in 1999 at the International Fair of Galiza, Spain, and it was also a prize- winner, in 2002, 2003, 2007, 2009 and 2011 at the Contest of the “Viticulture Commission of the Vinho Verde Region”.